In this article Bill McGowan responds to two reports written by Jeff Abbott in earlier editions of the magazine. A slightly different version of his response appeared in the print version of our most recent magazine. We encourage all readers to follow Mr. McGowan’s lead and join the conversation. MJT, Editor-in-Chief, La Cuadra Magazine. This rebuttal, however, based on a detailed review of the 2006 agreement and unbiased economic and sociological research, refutes the previous articles’ far-ranging contentions that CAFTA has caused a collapse in corn prices, empowered agribusinesses like Monsanto, driven indigenous farmers from their lands, substantially increased levels of migration, and emboldened Guatemalan gangs and drug traffickers. An objective examination of the facts reveals that CAFTA has in fact initiated positive – albeit incremental – change in Guatemala. Trade has increased. Key provisions in the deal have put pressure on the Guatemalan government to improve labor laws, workers’ rights and workplace conditions. CAFTA’s delayed reduction of tariffs on imports has even given the campesinos time to improve their farming methods to hopefully become more competitive. It is true that not all of the broader goals of the trade agreement have come to fruition. Seeking a fuller, richer life for all Guatemalans is a difficult goal to achieve, given the nation’s long-standing structural and political problems. But not achieving those broad goals, by itself, is not a valid argument that CAFTA is a failure. In the second of the two essays, the author referred to an alleged “slow motion diaspora” in Guatemala migrations since the implementation of CAFTA in 2006, yet the only evidence presented was a chart tracking the number of “Aliens Apprehended Entering the United States by Country of Origin: 2004 to 2013.” The key word is apprehended. There was a 182% increase in apprehensions of Guatemalans between 2005 (the year before CAFTA implementation) and 2013, but there was also an 81% increase from 2004-2005, a period before CAFTA. Honduras, however, saw only a 15% increase in apprehensions in the CAFTA period, 2005-2013, even though the neighboring nation and fellow CAFTA participant has about the same rural population (45 to 50 percent) as Guatemala and also relies heavily on corn as a dietary staple. No explanation for this anomaly was presented. It’s interesting to note that the U.S. Border Patrol’s website says that the number of border patrol agents increased 90% from 2005 to 2013. It’s only logical that this multiplied manpower and stricter scrutiny at the border would contribute to a spike in apprehensions. Why was the increase so much more for Guatemalans than other countries? We don’t know. The chart was not designed to answer that. Guatemala tracks remittances sent from the US to Guatemala from citizens residing in the US, documented or other. As reported by Susanne Jonas in an article for the Migration Policy Institute, in 2013, “According to Bank of Guatemala figures, remittances rose significantly between 2001 ($584 million) and 2005 (almost $3 billion). This increased to $4.3 billion in 2008. Remittances declined in 2009, because of the economic recession in the United States, but recovered to $4.4 billion by 2011.” One would expect a more significant rise in remittances since 2005 if there was, indeed, a massive increase in migration since the passage of CAFTA. There is simply not enough reliable evidence to argue that there has been a “diaspora” of Guatemalan migration to the US since the passage of CAFTA. The sole statistic given has been shown to be suspect, and as such is a weak argument for the premise. The previous articles also claimed that the endemic, historical violence of Guatemala, including narco trafficking, has increased in conjunction with the passage of CAFTA. No evidence was provided. According to the United Nations Office on Drugs and Crime, UNODC, Guatemala actually saw a significant decrease in homicides beginning in 2009. In 2009 Guatemala recorded 46.3 murders per 100,000 people. In 2010 the rate fell to 41.4. By 2012 it declined to 34.2. There is no doubt that Guatemala has suffered from a long history of migration and violence, but there is no evidence this has been exacerbated by CAFTA. Part I of the La Cuadra series claimed that the CAFTA agreement has inundated Guatemala with the import of cheaper, subsidized corn from the U.S. due to the elimination of tariffs. The obvious effect of this would be to lower the price of corn, thereby negatively affecting the price that Guatemalan farmers could get for the sale of their crop, and causing them to have to sell their land. In fact, the opposite has occurred. The price of corn has doubled in recent years. Specific provisions were built into CAFTA to protect participants from negative consequences of opening their borders to the United States. Appendix I to the General Notes of Guatemala to Annex 3.3 of the CAFTA agreement maps out a specified schedule of delayed tariff reduction on imports of yellow corn (10 years from the signing) and white corn (15-plus years) from the signing. Tortillas are made from white corn. That means that the total elimination of tariffs on the import of white corn, used in making tortillas, to Guatemala will not occur until 2021! There is no evidence to suggest that CAFTA has had any significant negative impact on corn prices. Like many critics of the trade deal, this magazine’s series linked CAFTA with the much-maligned agrochemical company Monsanto and the growing global backlash over the spread of genetically modified (GMO) foods. Unfortunately, this “link” allows CAFTA opponents to engage in the same hyperbole that is common in anti-GMO circles. For example, the La Cuadra articles alleged that allowing GMO corn to grow in Guatemala would result in the total loss of indigenous strains of corn. This has happened nowhere else. UPOV is the organization that monitors that Convention; at least 74 nations have signed one of its 4 versions. The first was crafted in 1961 to protect the property rights of plant breeders, whether individuals or corporations. In those days the plants being protected were often flowers. If a hobbyist plant breeder took ten years to selectively breed a black poppy, the Convention protected his investment in time so that customers could not simply purchase his seeds, then replant them the next year or sell them without his permission or a fee. GMO plants are just another protected variety. Other than that Monsanto is a breeder of seeds, the UPOV Convention has nothing to do with Monsanto. That means that Guatemala or any other nation involved in a trade agreement can sign UPOV-91 and still preserve the farmers right to replant seeds of the protected variety if a farmer chooses to plant GMO corn. Nothing in the Convention, however, forces any farmer to choose to buy and plant GMO varieties. Other nations have signed the 1978 convention, which offered more farmer protections, but not the 1991 version. Such a renegotiation is a legitimate avenue for Guatemala and other Central American nations to exercise. Rejection of UPOV altogether is not, and reflects an unstated desire to undermine CAFTA as a whole. The issues associated with growing GMO crops are too complex to deal with here, but it is not necessary to do so. UPOV has nothing to do with any company’s right to sell seeds in any nation. Nearly half of the nations in the European Union have banned the sale and planting of GMO’s in their nations and signed UPOV-91. Guatemala can sign it and separately ban GMO products from Monsanto or any other company. Reasonable people can agree to disagree about the merits or harm of GMO’s. Civic discourse is helped tremendously when organizations and journalists seek to inform accurately. Although linking Monsanto to UPOV might be an effective tactic for opposing or even demonizing CAFTA, it is duplicitous at its core because its goal is to misinform. Another positive impact of the agreement is rooted in CAFTA Article 16.2, which requires each party “to effectively enforce” labor laws already on its books. In November 2014,the U.S. sued Guatemala over its failure to address this requirement. The suit cited many specific cases from multiple businesses in Guatemala that allegedly interfered with the rights of workers to form unions, to bargain collectively and strike. It also cited numerous instances of a lack of response to complaints about safety violations. Without the impetus of CAFTA and Article 16, it’s doubtful Guatemala would make much effort to enforce its labor laws. Overall, CAFTA represents positive change for Guatemala. But it is no panacea for the multitude of deep-seated problems that exist here. Armed with knowledge and a sincere desire to achieve beneficial improvements in the lives of all ordinary Guatemalans, organizations can and should protest or petition for enforcement of existing laws and for more governmental assistance in improving agricultural methods. They may even petition for a GMO ban if that is what they think will benefit their constituency. 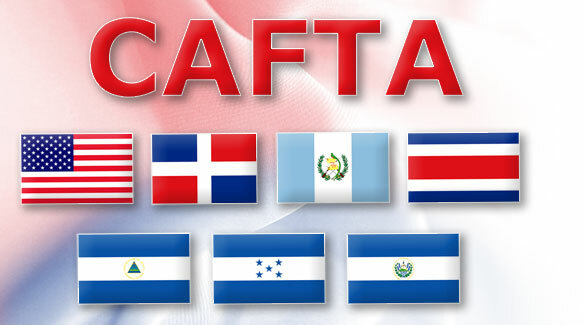 Informed disagreement and discourse is a far better approach for Guatemala than an obstinate rejection of CAFTA. A response from the Editor-in-Chief can be found here. Just take a look at what they did to India.